Beyonce has been on a break from the spotlight, as she is known to do but she re-emerged today, posting a look to her instagram page from an outing on yesterday(January 23rd). 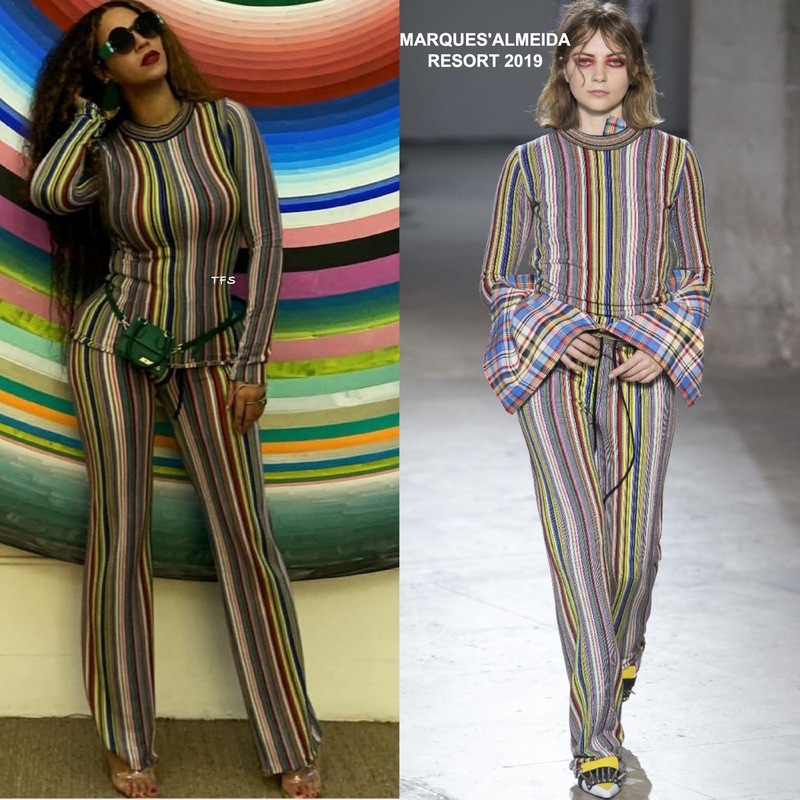 She posed for the gram rocking a MARQUES'ALMEIDA RESORT 2019 multi-stripe long sleeve top and the matching boot-cut pants. She teamed her playful stripe ensemble with a green belt, waist bag, dark sunglasses and her favorite transparent mules. I prefer this look so much more on Bey, she added a chic, edgy appeal to it. Her look was topped off with center part natural curls and a red matte lip color. Are you feeling Bey's instagram style as well?